LafargeHolcim’s global waste management business, Geocycle, treated 10 million tonnes of waste in 2017, an increase of 13 percent versus 2016. 10 million tonnes is almost twice the total yearly household waste generation of Switzerland or the equivalent of 2 million garbage collection trucks. Using kilns involved in cement production, LafargeHolcim co-processed all types of waste including: solid shredded waste from industrial and municipal origin, spent solvents, used tires, waste oils, contaminated soils, industrial and sewage sludges, as well as demolition waste. In 2017 LafargeHolcim built three new major waste treatment facilities: Kujawy (Poland), El Sokhna (Egypt) and Oum Azza (Morocco). 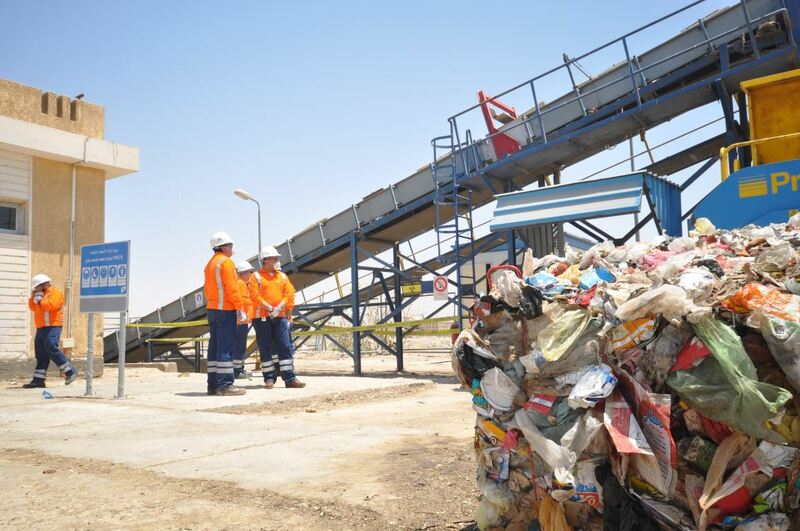 Oum Azza is the first waste pre-processing platform for MSW in the Middle East and Africa and was developed by Geocycle using its leading edge proprietory technology. All of these plants will help to divert solid waste from landfill and uncontrolled dumping, reducing pollution of land and oceans. Co-processing leaves no residues as the ashes get incorporated into clinker, the basis of cement, and the waste products are used as a direct substitute for fossil fuels and other raw materials. Thus, co-processing reduces CO2 emissions and energy costs; the higher temperature and longer residence time means cleaner combustion; and the avoidance of landfill and uncontrolled dumping of waste reduces pollution and saves land. Overall, co-processing plays a critical role in solving the problem of waste disposal for society while making an important contribution towards a circular economy. LafargeHolcim is the leading global building materials and solutions company serving masons, builders, architects and engineers all over the world. The Group is organized in four business segments – Cement, Aggregates, Ready-mix Concrete and Solutions & Products – and is a partner for clients ranging from affordable housing and small, local projects to the biggest, most technically and architecturally challenging infrastructure projects. As urbanization increasingly impacts people and the planet, the Group provides innovative products and building solutions with a clear commitment to social and environmental sustainability. With leading positions in all regions, LafargeHolcim employs around 80,000 employees in more than 80 countries and has a portfolio that is equally balanced between developing and mature markets.